Can Your iPhone Tell You if You are Depressed? Smartphones are getting smarter, and the desire for convenience and streamlined administration is at an all-time high. We have taken a look at how Skype doctors could potentially influence your medical treatment, but what if your smartphone could predict depression without the help of a medical professional? A new app claims to be able to identify people who are at a higher risk for depression. The “Purple Robot” is an app in development at Northwestern University. While it isn’t available to the public yet, the app was able to identify 87% of participants who were determined to be at risk of depression. How? By tracking GPS data that showed how much users moved between their regular locations. The more users moved, the less likely they were to be considered at-risk. The Purple Robot also could detect 74% of higher-risk participants by figuring out who used their phone the most for texting, playing games, and checking social media. Talking on the phone more frequently, on the other hand, was not indicative of a greater chance of depression. Unfortunately, there wasn’t enough data, probably due to the small number of participants in the study, for researchers to determine the effectiveness of the app using both GPS and phone usage trends. Currently, this app only can tell you if you have an above-average chance of having depression and cannot diagnose it. While it certainly could help people to recognize if they need to see their doctor to discuss their potential depression, it could also potentially incorrectly identify you for being at risk. The test in the study used a low cutoff score, so it may have identified people for being at risk when they actually weren’t. The Purple Robot is still in testing, and its developers at Northwestern University are planning on including more data, such as how long people talk on the phone and who they talk to, into the analysis. They are also encrypting the data, which provides some peace of mind for those who are concerned about data leaks. Even if the app is changed to become more accurate, the GPS capabilities may be a turn-off for some people. Especially due to the hype surrounding multiple recent data hacks, having your GPS location at risk is definitely something to consider before using this app. Since this app has not been revealed to the public, we don’t know quite what effect it would have on the disability insurance claims process. We do, however, recommend that you are cautious about the apps that you use that involve your health, especially if you think you may eventually have to file for disability. We would also advise that you speak with your doctor if you think that you may be depressed. While these apps may assist you in realizing that you need to seek help, they aren’t yet able to substitute for diagnosis from a medical professional. Are Longer Hours Hindering Your Ability to Work? Long hours at work are typical of doctors: there is no break in people getting sick or having physical issues. But what does working long hours do physically and mentally to doctors, and how can this affect your practice? The term “overwork” refers to the increasing risk that a worker will experience symptoms of fatigue and work stress, which can undermine productivity rates. We’re going to be taking a look at some of the statistics involved with professionals working long hours and then discuss how this can not only hinder productivity in your practice, but can also affect your body and, in some cases, how soon you need to file a disability insurance claim. There numbers regarding the average work week for Americans, especially professionals such as doctors, show that most people expect to work extended hours. This is associated with the trend of “presenteeism” among doctors and dentists, which we have spent some time dissecting. In fact, many professionals now view the traditional 40-hour work week as a “part-time” job, and state that working those hours show laziness or a lack of desire to get ahead. In 2006, American families worked an average of 11 hours more per week than they did in 1979. 37.9% of professional men worked over 50 hours a week between 2006 and 2008, which is an increase from 34%. Studies have shown that working longer hours leads to a decrease in productivity per hour. Any doctor that has worked more than 10 hours a day, as they often do, can attest that the 9th hour is much more difficult to get through than the first. The evidence shows that longer working hours have a negative effect on worker health due to fatigue and work stress, all of which further decrease labor productivity. Workers with long hours are at a greater risk of health issues. For instance, those who perform repetitive tasks have an even greater chance of cumulative trauma disorder, such as carpal tunnel syndrome. This shouldn’t be shocking to medical professionals, as many of the disabilities that they suffer come from repetitive use injuries. An interesting way to think of the way your hours affect your work is to think of your body using a minimum amount of energy for posture and immunity, which has a great effect on back and neck pain. If you draw too much on this energy for work, your posture and immunity will suffer. As another example, working extended hours can have a negative effect on mental health. We have also discussed how medical professionals are more susceptible to mental illness. Studies have shown that working long hours leads to increased stress, which can contribute to the already stressful situations doctors face every day. One positive finding regarding hours worked and productivity is that those who have the flexibility to schedule their own hours are not only happier but more productive. Even more striking is the fact that even if workers had to put in overtime, if they chose this overtime themselves instead of being asked to do it by a supervisor, they were much more productive and less fatigued. This is certainly good news for those medical professionals that own their own business and are able to schedule their time as they see fit. However, doctors such as residents or those working within another professional’s practice may feel pressured to take on more hours, and are also constrained by other doctors’ schedules. For these reasons, it’s important for the medical and dental community as a whole to take a better approach regarding long hours. While we certainly don’t presume to know what is most appropriate in terms of streamlining care and administration, it certainly seems logical that doctors be encouraged to work fewer hours or have more freedom in scheduling the hours that they are going to work. Let us know what you think about working long hours and whether you have schedule flexibility in the comments! 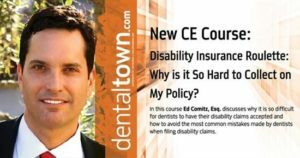 Edward Comitz is talking about disability insurance with Howard Farran, the founder and publisher of Dentaltown Magazine. Ed will be discussing why and when to buy disability insurance and what to avoid or look for when you do. Presenteeism & Sick Doctors: Does This Lead to More Sick People? We’ve discussed the issues involved with “presenteeism” and how it can affect disability insurance claims, but it’s making waves in other news regarding healthcare workers and their patients. Healthcare workers are going to work sick, and while it is admirable to be dedicated to your job, it creates a huge risk to those with already compromised immune systems. Since healthcare workers are entrusted with the duty of caring for high risk patients, it’s important that we take care of our healthcare workers as well. However, that seems to not be the case, as in the medical field it is seen as weak to take days off, and sometimes taking more than two sick days is rewarded with an extra week of work for residents. 83.1% of the 504, however, worked sick at least 1 time in the past year. 98.7% didn’t want to let colleagues down, and 64% feared being shunned by colleagues. However, it’s imperative that we don’t blame healthcare workers, but instead society and its approach to doctors’ and dentists’ sickness as a whole. It doesn’t seem to make sense that we place such a heavy emphasis on coming to work no matter what when lives are at stake. While it would seem to be common knowledge that placing an already compromised immune system in jeopardy would be a bad idea, the medical community’s desire to work through diseases is contradictory to this, and perhaps it’s time to change the culture. Physicians, what do you think about “presenteeism”, and how do you think we can change the culture surrounding it? Tell us in the comments. The Injured Physician: Is Your Work Ethic Hurting You and Your Patients? Comitz | Beethe disability insurance attorneys Edward O. Comitz and Patrick T. Stanley recently had their article “The Injured Physician: Is Your Work Ethic Hurting You and Your Patients?” published in the Winter 2013 edition of AzMedicine, the quarterly publication of the Arizona Medical Association. In the article, Mr. Comitz and Mr. Stanley review some of the unintended consequences, both professional and personal, of a physician continuing to work through adversity, and the potential impact on his or her disability insurance coverage. For example, a physician who has modified his practice or work schedule in an effort to accommodate a disability may effectively change his occupational definition as it is defined in his “own occupation” disability insurance policy, making it difficult, if not impossible, to collect benefits when they are most needed. The article also analyzes some of the pitfalls of “residual disability” or “partial disability” riders, such as the manner in which the insurer will determine the amount of benefits paid and differences in how long the insurance company is required to pay benefits. The Arizona Medical Association periodically updates its website with recent editions of AzMedicine, or you may contact our office to obtain a copy of the full article and/or to speak with a disability insurance attorney. Scottsdale attorney Edward O. Comitz was recently consulted by the popular financial website The Street regarding his thoughts on whether it’s a good financial decision to purchase an individual disability insurance policy. Based on the high premiums and his experience as an attorney who specializes in assisting sick or injured claimants with obtaining the individual disability insurance benefits to which they are entitled, Mr. Comitz advised that, with the exception of medical professionals such as dentists and surgeons – for whom even a minor injury can be career-ending – disability insurance is not a good investment unless you are also prepared to incur the costs of hiring an attorney if your claim is denied or terminated. We receive many, many requests for more information on disability insurance companies, disability insurance claims, and other relevant news and updates. This blog is a great way for us to keep you informed about general disability news and claim topics, but we wanted a way to keep those most interested in what our firm does up to date in a more comprehensive way. Information on lectures and classes you can attend to hear the firm’s attorneys speak about choosing disability insurance policies and filing claims. Comitz | Beethe’s Disability Insurance Newsletter. Your name is not required. Please rest assured that we will not use or distribute your e-mail address for any other reason. 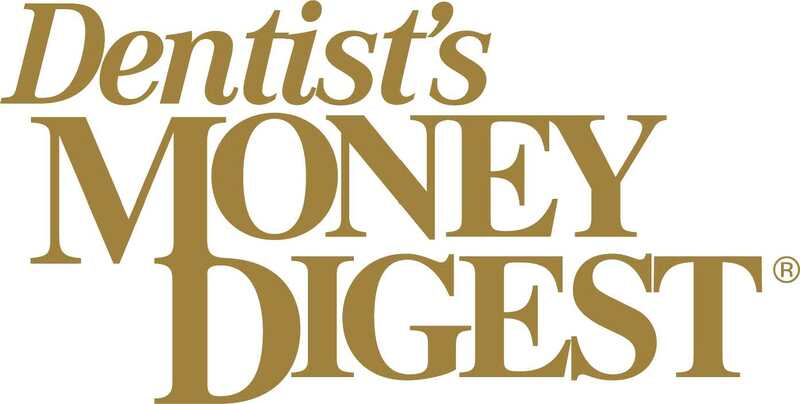 The January 2013 edition of Sombrero, the publication of the Pima County Medical Society, features an article by Comitz | Beethe’s disability insurance attorneys, Edward O. Comitz and Karla Baker Thompson. The article, “Surveillance Misuse in Claims Investigations,” reviews some of the ways in which evolving technology has led to overly intrusive surveillance of claimants by insurance companies. Among the surveillance techniques being utilized are stakeout operations, tailing (sometimes using a “decoy” investigator), pretexting (obtaining your personal information under false pretenses), and GPS and cell phone tracking. For example, some private investigators use a stingray, which is a cell phone tracking device that operates as a miniature cellular tower from inside of the PI’s vehicle. The device enables an investigator to connect to a claimant’s cell phone, even when it’s not in use, and, after taking measurements of the phone’s signal strength, triangulate its location. Since most people tend to carry their cell phones at all times, the device then allows the investigator to track the insured’s movements remotely. The law surrounding some of these intrusive surveillance techniques, which have been made possible by modern technology, is not yet settled, and it is important that anyone on claim with their disability insurance carrier remain vigilant to the possibility of surveillance at all times, regardless of whether a human being is conducting the surveillance. Long gone are the days when surveillance was only conducted by someone with a camera sitting in a car outside an insured’s home.